It has been another week already and it is that time again to come together and share what we do to be good stewards of what we have been given! * I made a sour cream coffee cake from scratch to use up sour cream (googled a recipe and got one from all recipes.com) I have left so it won't go bad. It was apparently very good, it only lasted two days. * We had someone surprisingly offer us two twin mattresses, a lamp, and a homemade bed frame. We accepted them, and replaced my daughters older not so supportive mattress on her bed, the other was also put in our daughters room for our son to sleep on while we have a temporary house mate. My son was so kind and gave up his room for the gentleman. * Our electric bill despite needing to use the heat some this month came in at about 87.00 for the month..(my goal is to stay on budget is 100.00 or less) which is awesome because we usually are at 150 in the winter. I turned off the computer when we were not using it, set the washer to wash in cold water every load, and used a shorter cycle on the dishwasher, and did not allow it to dry the dishes. We participated in an Operation Christmas Child shoebox packing party at our church. This is the second or third year that we have done this. It is always so much fun. Now we get to pray for the children that will receive the boxes along with a gospel message!!!! And the bonus was we got to eat pizza with our church family and I did not have to cook!!!! These are the little ones with their santa and elf hats getting ready to get their pack on!!!! * The last thing I can think of this week is that I made my Uncle's wedding gift using also craft materials we had on hand. My flops for the week were, we forgot about a lunch offer we extended to someone about two weeks ago, and we had to follow through on it but thankfully my husband did a side job that paid for most of the lunch. The rest of the week though we ate at home, I even have about a two week menu plan. We also over spent on our Christmas budget by about $60.00. My husband unexpectedly picked up a gift for me, and I decided to buy postage for Christmas cards and I need to unexpectedly ship a package too. We are done shopping though. Now we just have stuff to make. I hope everyone had a great week!. I love hearing from you! Well it has been an interesting, full of some private struggles week, but we did a fair share of trying be wise with funds. * Earlier this week with my grandma, I cooked my first meal from scratch. It was chicken and dumplings with biscuits, that yes we cut with a cookie cutter into the shapes of hearts. Alot of work but so much fun. Although I don't enjoy cleaning up. * My husband cut his own hair. * Accepted 8 bags of hot dog rolls that were left over from a friends anniversary party and froze them. * I buy our dogs food at a local pet depot, and they have a rewards program and we recieved 5.00 off her bag of food. * I used some coupons at Michael's to finish my craft supply shopping in order to finish some Christmas, birthday, and wedding present projects and saved a total of $11.00. * Renewed library books over the phone instead of having to make the trip in the car. * I had previously used Wen shampoo...but I never paid for it...a friend of mine had given me two bottles completely free over the summer when she was cleaning out her home. Well it finally ran out and I went back to the Suave 1.00 bottle of shampoo. I noticed a problem that plagued my scalp for years returned when i was using the cheaper shampoo. There is no way I can afford to buy the actual Wen. I did find a good deal, but I didn't want to have to pay shipping and take a chance on getting caught up in automatic shipping/payment of the product etc. So i did some research and found this blog http://blushandlace.com/2012/12/06/make-your-own-wen-style-cleansing-conditioner-or-buy-the-drugstore-dupe/ I went to Walgreens and purchased the RenPure dup in Pomegranate, so far no scalp problem, and I paid just 7.00. It will last me two or three months. * I went to pick up a jacket for my son that we found on a yardsale facebook site, fully prepared to pay the $5.00 for it but when the gentleman found out it was really for my kid and I wasn't try to just pick up something and resell it he gave it to me for free. I was so thrilled I hugged him, and we surprised my son with the jacket to celebrate his awesome report card of straight A's. * I also got a .99 photo collage to give away as a photo gift from Walgreens. The code came in my email directly from Walgreens. Sorry for the rant, that is about it. How did you save or spend wisely this week? This past weekend, we hosted our daughter's third birthday, and my grandma surprised me, and showed up early to the party with this tasty treat. Place 18 paper cupcake liners in muffin tins. Put 1 wafer in each liner. Mix eggs, sugar, cream cheese, and vanilla together at medium speed for 5 minutes. Spoon into liners over the wafer until 3/4 full. Bake at 375 for 12-15 minutes. Let cool, then spoon pie filling of your choice on top. Chill and serve. In my opinion this is a perfect portion size if you want that great treat without having to feel guilty about enjoying it. You can also reduce the calories by using an artificial sweetener like splenda in place of the sugar. You could possibly also try a reduced fat cream cheese, although I have not yet tried this recipe with lesser fat cream cheese. If you try it let me know how it works out. Either way, they are sure to disappear. as well as frequenting this link ups to get some great ideas as we continue to prepare for the holidays. I am finding that doing some things homemade is making our resources and ability to bless other go so much farther. Please come check it out! Happy Sunday everyone. What did you do to renew your spirit today? It's time to share with you this weeks happenings and ways that worked to save our family money. * We made Dove body wash and filled two 24 ounce bottles from 3 bars of soap. I bascially paid 3.50 for two bottles that would have normally cost 5.50 each at the store. * Made home made furniture polish with a recipe from Pinterest. * I had a 10.00 coupon from Build a Bear and I used it to purchase my son a Christmas gift so in the end I only paid 2.50 for the gift. * We combined errands on our day off and ended up visiting grandma....We accepted a walmart bag full of clothes for my daughter, a princess sleeping bag that will now become the comforter for her bed, 1 toy, and a kids tent for my son that they have set up in our great room and are playing inside of as I type. * We also browsed a Wal mart for after halloween sales and I got the kids a stocking stuffer and paid .25 for each item. We also hosted our daughters 3rd birthday party. We probably had approximately 30 people or so in our home...we kept the food simple, hot dogs, chips, koolaid, and cake and icecream of course. Lets say the food cost maybe 30.00 but we fed all those people and even took left overs to neighbors to bless them with dinner. The food cost included everything but the ice cream....Mr. B brought that for me. We had a blast! We had a fire in our outside fire place. We didn't do any decorating though, but no one noticed we showed the movie that was the theme of the party on our tv in the great room, and for favors we gave out sunglasses and beach balls that I purchased from Oriental trading....we spent 20.00 but I waited to order until they offered free shipping. The cake was made by a friend....we went for a beach theme and it was decorated with teddy grahams, life savers, and graham crackers to make the sand.....it was so much less expensive than any store bought cake and tasted better too.....we had so much fun. I plan to use free online editing software that I found out about from another blogger over at http://fromnature-tonurture.blogspot.com/ called pic monkey. During our photo shoot I also snapped this current years picture of the birthday girl for her side of the wall, and we took a photo of our son too that will go on his side of the wall in our play room. We didn't buy school pictures. It was a great week. I plan to share more about this weekend in a special post later this week. Please share you accomplishments! So it is unavoidable, the season will soon be upon us, and this year, we are coming undone from years of Christmas preparations past. I want to share ways we are preparing this year. Maybe we can help each other. 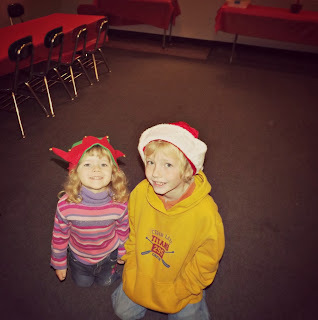 These are our two children, the reason we decorate for Christmas and try to make it special each year. Our plans start with them and then we evaluate what if anything we are going to do for anyone else. There have been years my husband and I do not exchange. This year, we are trying to combine some new items with other home made items for our kids, friends and family. The blog world has been so instrumental in this. I have seen some great ideas, that I cannot wait to use. We will also be using some things we already have to come up with what I hope will be some great gift ideas i hope to share. Over at www.flylady.net there is something she calls a Holiday Control Journal that is free to download to assist you with making your plans. She also has some ideas for Holiday Cruising Missions. The idea is to help you prepare for the upcoming holiday season so you are not out doing anything last minute. Also Brandy over at www.theprudenthomemaker.com has some great posts on a gift a day, and there are some other postings if you search on her site doing Christmas on a zero dollar budget along with some other things. Have you set your Christmas shopping budget yet? My husband and I did the other day. We have said from last week forward our shopping budget is $110. Now to be clear I did seperately spend over the summer and during my son's school fundraiser a seperate 40.00. About 30.00 was spent to support our son's schools fundraising efforts. We purchased seasonal calendars for each of the grandparents, you can put family photos in them for each month. Now if you want to do something like this though, and your budget is tight, one year we did this by going to Michael's and we purchased from the baskets by the register photo calendars for $1.00 each. We only did it this way this year because at the time we had the money and we wanted to support our son's school. The other 10.00 was spent over the summer supporting a friend who was trying to start her own business and I purchased my husband some special meaninful ornaments that were 5.00 each from At Home when they were still in business and having a Flash Sale. These will be from our children to him. (remember he already got his motorcycle a month or two ago) So all together I expect our total shopping to clost 160.00 for the season. We are not mailing Christmas cards, we will send electronic ones free through email! My tips for photo printing....sometimes shutterfly offers 101 free prints, and Walgreens does too. That is how I got the pictures we used. Walgreens had 25 free prints, and Shutterfly offered the 101...So I paid only $2.50 shipping form Shutterfly for pictures that will make gifts for grandparents and 12 other families/friends. Watch your flyers get cheaper prices, don't settle for the .33 prints at Walmart unless you really have to. If you don't have money for new prints....look through the pictures you have from years past can you be creative with those? No credit cards will be used, we won't still be paying for it in the Spring. I did not include consumable gifts in this budget because all food gifts will be made from items we already have stocked in the pantry we built over the summer by following examples over at blissful and domestic, and the prudent homemaker. My kids have 15 cousins and each year Mr. B hosts a cookie baking party, so we usually make a little home made gift for each of them or purchase something really inexpensive. There are so many of them now that the gifts have to be homemade. We are doing this http://www.makeandtakes.com/easy-homemade-microwave-popcorn but my kids will be drawing Christmas pictures and messages on the bags, and we will tie a bottle of popcorn seasoning to each set with ribbon. We will probably do two microwaveable bags per kid. The ones that are too small for popcorn will get homemade playdough. I already have all the stuff to do each of these in our pantry. We will also make some sort of ornament that will share a gospel message for each of them. Last year we did salt dough crosses with John 3:16 cards, this year they will probably be paper ornaments. Feel free to share what you do. I love to see your comments. I don't know if we will have a fancy Christmas dinner. My husband can't travel because of his towing job, we may do a pre Christmas dinner with the grandparents, but I think it will be tacos! A big Christmas dinner for just the 4 of us would be crazy. 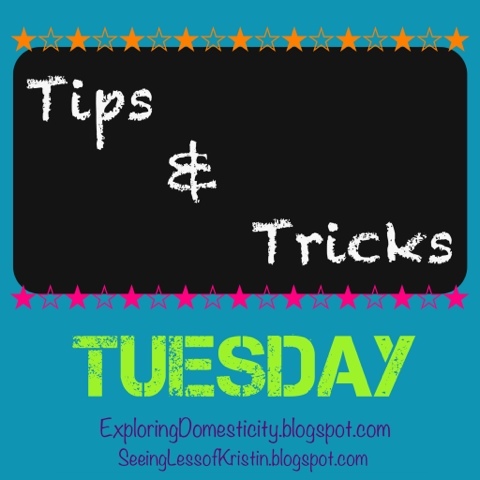 Tips and Tricks Tuesday, a day late. I am linking up a day late, I thought I would get to let the doctor weigh me in yesterday but it didn't happen so I weighed myself in this morning very much to my diappointment. I am apparently up to 275. Now I am on my period and I am hoping that is the problem. I guess we will see next week. I did start replacing one meal a day with a shake beginning today, i was suppossed to start this last week, but my personal schedule got all out of wack, and I was nervous about the motorcycle course so I waited to start till today. I am not pleased at all with this weeks results. I plan to log caloric intake on myfitnesspal as well. I have been brainstorming about making myself a motivation to move journal or something like that on the days I drag my feet. So far I am at 15 minutes of definate moving each day with an exception of 30 minutes some days. My son and I are playing the wii fit this morning. Then it's shower time, and errand day. I am grumpily getting on with my day. I love reading what everyone does. There is always a chance that someone does something that one of us may not have thought of yet to save money. This week I received a free food processor. Someone was given a new one so I said I would take their old one they were giving a way....this was from a free needs for seeds group on Facebook in my local area. I made some spray to spot clean our carpet you mix 2 oz hydrogen peroxide with 1 oz dish soap (spray spot with solution and rub) then spray with plain water and scrub with another rag) I mixed it in a plastic spray bottle we already had. I got a code to get a free 8 by 10 collage for free at Walgreens so i made a collection of the kids halloween pics from this year.....can't wait to get it. The kids costumes were things we already had, and we did not give out candy....our neighborhood doesn't get kids...mine are basically the only ones that live in it. My husband received some second hand clothing from extended family and we went through them all and put them away and I even found one piece! My husband and I both completed a motorcycle safety course this weekend at our local DMV successfully and this will entitle us to a 10 percent savings on our insurance (that is right this mama is officially licensed to operate dad's bike...lol) Class was fun but i was scared alot too. I did not have to go to the grocery store this week. So I know we talk about ways we save, but did you spend any money that you see as a wise investment? I don't know that I did that, but we did look at our spending and our budget, and we set a Christmas budget to be $110 out of pocket. We will make some consumable items but they will be made from items already in the pantry I worked on building over the summer. A few weeks ago when my son had his first school fundraiser we purchased some calendars that will allow us to put photos in them for each of the grandparents as a Christmas gift for them, that was 19.00 not included in the $110 budget listed above. The calendars seem to be good quality. We could have gone cheaper with this project, but we got a chance to support our son and his school so we decided it was worth it. Here is hoping our planning pays off. I promise to be honest if we go over or stay under. Hugs from MJ!!! you are beautiful, loved, and important! This is an older picture taken almost three years ago when my daughter was born. The answer to that question is that I have children. I know it sounds lame and corny right, but there is a story behind it that I have not shared with you readers, but I plan to one day, it's just an emotional one. I know that shamefully I have been angry with my kids when I shouldn't be and I have taken my family for granted at times. I will touch every so briefly on the story I never shared with you all, My husband and I were married 4 years and we discovered we were pregnant with our first child. We had been having marital issues and had just reconciled when I found out I was pregnant, but despite our issues, I had always wanted to be a mother. Unfortunately on 02-05-03 our joyous moments of pregnancy turned to sadness when our son was born still at 36 weeks. Now that is all of that story I am going to share for now. But to briefly sum up time afterwards, we could not easily concieve again, a little more than 2 years later we had another son. 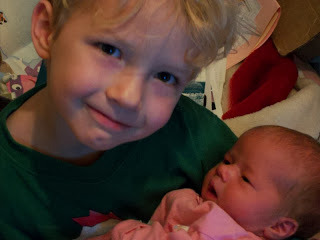 And thankfully he was born screaming and healthy and is now 8. 4 1/2 years later once I had accepted we would probably just be a one child family I surprisingly discovered that we were expecting again, and this time on November 9, 2010 the Toomey family expanded by two beautiful girly feet! I think I intend to create a page on this blog eventually dedicated to our very first son to share our story but that is for another day. So I am thankful for what I thought at one time in my life I would never have. The miracle of life, that I don't deserve to have stewardship over. Feel free to leave your comments if you would like and share what you are thankful for. I love hearing from you. !